The year just begun is one of the most difficult to predict in the 20 years I have been in the forecasting and punditry business. The other stand-out year to rival 2019 was exactly a decade ago. The world economy was going over a cliff at the beginning of 2009 following the eruption of the financial crisis a few months earlier. Ireland was particularly badly affected. The economy was in meltdown and haemorrhaging thousands of jobs every week. With Ireland and the world facing the real risk of another Great Depression, predicting 2009 was as hard as predicting the coming year. Another year that was filled with uncertainty over the past two decades was 2002. As that year dawned, the US was on a war footing, having suffered the shock of 9/11 a few months earlier. Kabul had just fallen and there was already talk in Washington of attempting to democratise the entire Middle East region as a means of uprooting Islamist terrorism, an issue which had become the US foreign policy priority above all others. With a huge range of options available to the then unrivalled superpower, predicting which factions in Washington would win the president’s ear, how the “war on terror” would play out, and what its consequences would be for the world were the all-but-impossible conundrums for crystal ball gazers as 2002 started. Two other years stand out in terms of uncertainty over the past two decades: 2011 and 2012. In both cases, the future of the currency which is this week marking its 20th anniversary was in question. The mere risk of a break-up of the euro brought about recession in Europe in those years. Had the currency collapsed, so would the European economy and, in all likelihood, many of Europe’s shared political institutions. Predicting the consequences of that sort of a catastrophe was, again, all but impossible. What makes 2019 different from those years of acute uncertainty is that the unpredictability is not from a single source. The US to the west and Britain to the east have usually been poles of security and stability for Ireland and wider world. In 2019, they will be sources of insecurity and uncertainty like never before in living memory. Brexit is the most immediate issue for this country. In a worst-case scenario, it will have huge economic and political ramifications for this island, and, as discussed below, the economic and political aspects could feed off each other in all sorts of unknowable ways. American President Donald Trump has not ended US democracy or crashed the economy. Nor has not started shooting wars. But he has become increasingly assertive and, most concretely for the rest of the world, he has started trade wars. The ups and downs of economic diplomacy might seem of little relevance to the lives of many readers. But as we know from the protracted discussion around Brexit, when governments propose radical changes to the invisible infrastructure that allows commerce to take place across borders, it is only a few short steps to worrying about having enough food and medicines. Trump is playing extreme hardball on trade with both the EU and China, neither of which will be as willing as Canada and Mexico were last year to give lop-sided concessions. Trump is not as idiotic as he is often portrayed, and there is no inevitability that he will insist on demands of Brussels and Beijing that lead to full-blown trade wars, but the risks are high. The US is Ireland’s single largest trading partner, having overtaken Britain in recent years. 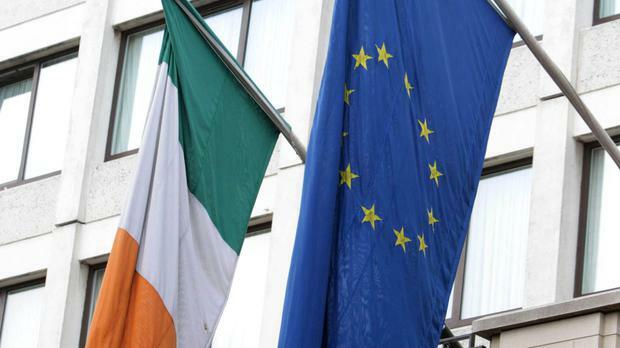 No other European country is as trade-dependent on America as Ireland is. With so much uncertainty, even attempting to make predictions for the year ahead would be unwise. Instead, here is a series of questions as to how the Government and public opinion might react as events unfold under different scenarios. Before Christmas, the Confidence and Supply Agreement between Fine Gael and Fianna Fáil was extended to 2020. In normal times, that would have greatly reduced the chances of an election this year. But the extension of the deal happened mainly because these are anything but normal times. Much will depend on Brexit. If the British end up accepting the Irish backstop, and if a transition period begins at the end of March when Brexit is scheduled to happen, the Government will validly claim that it has achieved its objectives. Fine Gael’s lead in the opinion polls should, at the very least, be maintained. If, on the other hand, the British head for a no-deal exit because they won’t accept the backstop, the Government’s high-risk Brexit gambit will have failed. In those circumstances, the only way of avoiding a no-deal exit might be for the Government to give in on the backstop. How would that go down with the electorate? Would backing down be seen as a pragmatic move by a Taoiseach who had done his best for Ireland, south and North? Or, on the other hand, would there be widespread opposition to any climb-down? In the latter case, Leo Varadkar could calculate that his political survival would require that he sticks to his guns even if that results in a Brexit-induced economic slump. If a no-deal exit were to happen on a green tide, how would attitudes evolve once the pain of a post-Brexit downturn began to bite? Would the Government be blamed for overplaying its hand if unemployment started to rise and an austerity budget loomed in the autumn? Or would an Irish equivalent of what the British call a “blitz spirit” take hold, as mayhem is blamed on the old enemy and the nation stands together to face privations? What of the land Border in such circumstances? The Government’s current position is that it will not police the frontier with Northern Ireland in the event of a no-deal exit. As the Irish Border would be an EU external frontier, not policing it would sooner or later cause problems for the rest of the EU. Would the Taoiseach want to play hardball on that as he has thus far on Brexit? Would public opinion support taking on Brussels and Paris, particularly if the economy was already turning down? All of this could be playing out by mid-year, and takes no account of what the US president might have done by then. Where we’ll be by year’s end is anyone’s guess. Buckle up for a turbulent 2019.